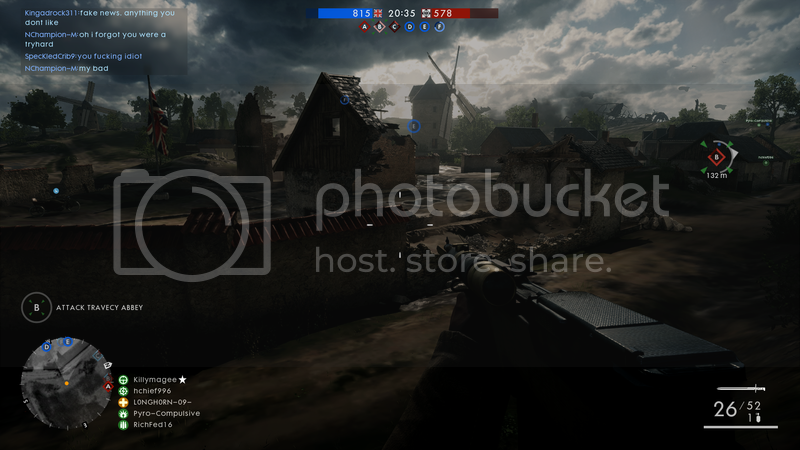 So i'm running about 60-80 FPS on ultra settings in BF1. Is this good as far as frames per second goes? i've forgot all about this subject. Here's a couple of SS from the game. That is good, I cant kill when I run my graphics that high. What video card are you running? I have a Asus GTX 1060 strix OC edition. I have GTX 1070 they are great cards the 10 series . 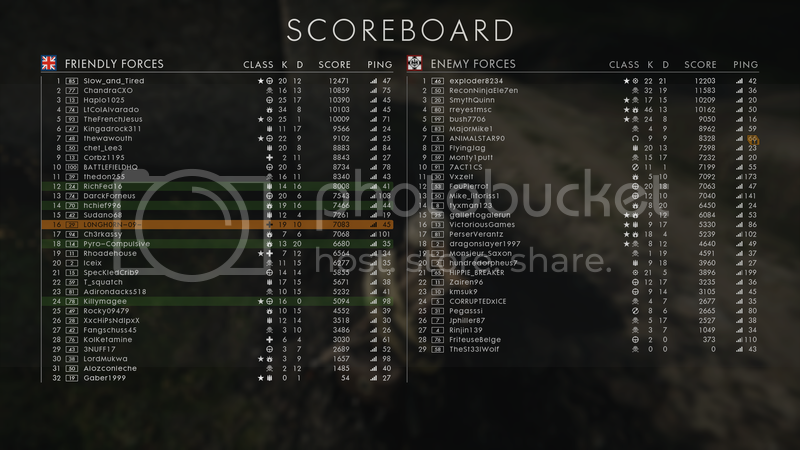 Pity I cant play on them USA servers would be good to kick it with some of you guys again (BF1) . GMG you should be able to play unless its country lag or just connections issues. bad ping to US servers? I have superfast connection 100MB down 50MB up fibber. my ping is around 180 - 200 to some USA servers dependent on what coast I am hitting . Though I have seen some big ping-ers come into NZ/AUS servers and all I see are people dogging them . I just don't want to be the cause of some peoples ill feeling ( unless its my bullets in their head lol ) . Through some server names out that you guys play on and I will see if I can jam a few.